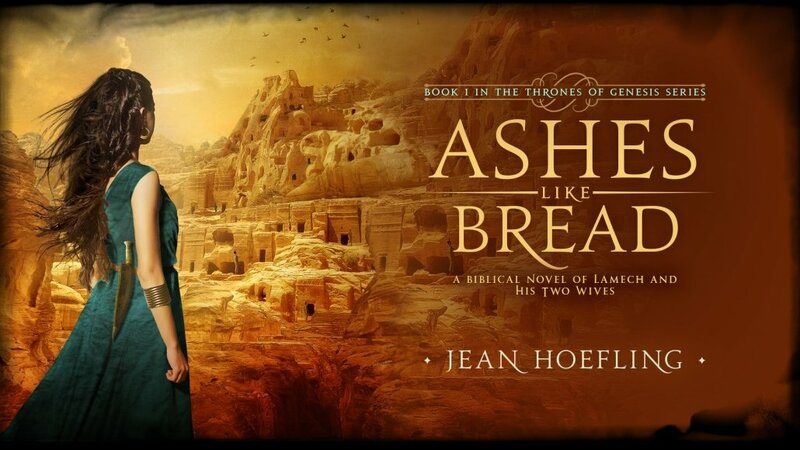 Yes, my second biblical fiction novel, Ashes Like Bread, will be published November 2, 2018! And though my carpel tunnel syndrome may never forgive me for it, I wouldn’t trade the agony and ecstasy of hunkering over that computer for the past year for anything. My hope is that once again, my readers will find themselves deliciously immersed in the mysterious world before Noah’s flood–that most ancient of ancient civilizations about which we know little but love to speculate about. 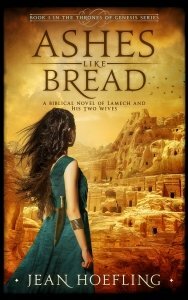 Readers’ Favorite had this to say in their five-star review: Lyrical, evocative, and filled with religious symbolism, Ashes Like Bread is a riveting read. It is told in a language that is atmospheric, rife with mystery and biblical references, deeply moving. In Ashes, I explore the Genesis 4 story of Lamech– a swaggering descendent of the world’s first murderer, Cain– and Lamech’s two wives. My lead character is Zyla, one of those wives, who’s not your everyday iron age wife, but a brilliant woman with the gift of prophecy and the determination to express that gift, no matter what it costs. So what did I learn from the characters I created in Ashes Like Bread? Like water, my book characters sought their own level. You can’t force water to flow uphill. I had certain ideas about who my characters should be, based on the Genesis 4 passage and The Book of Jasher, my supplemental text. But my characters didn’t always agree with me. They found their own way as I wrote them, tweaking the story for me in unexpected ways as I worked to create an intriguing and contextually accurate story about people from the dawn of human history. Just as we have to trust our friends in what they choose for their lives, so it is with book characters: They usually know the way they should take. Like children who finally grow up, one day my characters no longer needed me. I spurred my crew on relentlessly, wanting them to be all they could be before I turned them loose on readers as heroes and heroins, villains and foils. I worked until they started to resist; until my fingers almost refused to touch down on the keyboard because the time to make changes was clearly over. It felt great to drop those kids off at college and walk away. Like good therapists, my characters taught me more about myself. Stephen King is quoted as saying, “I was born with a love of the night and the unquiet coffin. That’s what I have.” In the same vein, what I have is an insatiable interest in bringing biblical characters to life for postmodern readers. In creating those characters, I find uncanny conveyances for working out some of the kinks in my own life. In Ashes, my character Zyla says to a man she’s grown to love: “What would you do if you wanted something desperately and could find no remedy except one that might kill?” Ohhhh, the story that line could tell! Would you like to read a free advance copy of Ashes Like Bread before publication this November 2, with the commitment to write a review during launch week? Contact me at jeanhoefling3@gmail.com.